With the help of 4C™ SAP® BW alert pack you can identify InfoProviders, dedicated for reporting, but without reports running against them or with reports that run long time ago. In a picture below, there is an alert output, showing the list of InfoProviders, uploaded on a daily basis. Two of them however, were used in reporting for the last time years ago. These two InfoProviders are potential candidates for data deletion. Working with dozens of BW clients, we identify such cases, allowing to save substantial amount of BW database space. 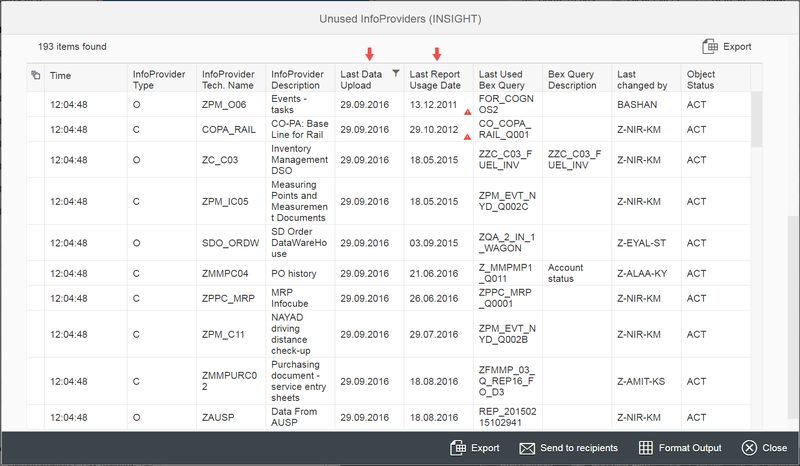 With the help of 4C™ SAP® BW alert pack you can monitor the number of records, uploaded into BW PSA tables. PSA tables, when neglected, can grab unnecessarily large amounts of storage holding useless data, and the large tables mean it takes longer to add data in and get data out of those tables, thereby increasing data load times. These tables should be trimmed as part of your regular housekeeping, which is trivial, while using 4C™ SAP® BW alert pack. Determine a threshold (e.g. number of records in the PSA table > 100’000) which when reached, will generate and send an appropriate notification. 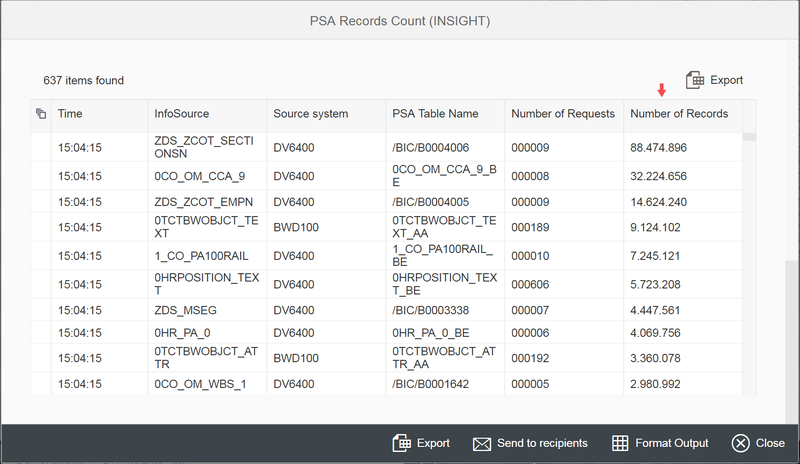 In a picture below, there is an alert output, showing the list of the PSA tables, with the number of records, residing in each table. 4C™ SAP® BW alert pack helps to control the number of PSA records and requests, allowing to save up to 60% of BW database space. Are you running delta dataloads into one or more DSOs in your system? If so, then you are populating the DSOs changelog tables each time you load a delta request. 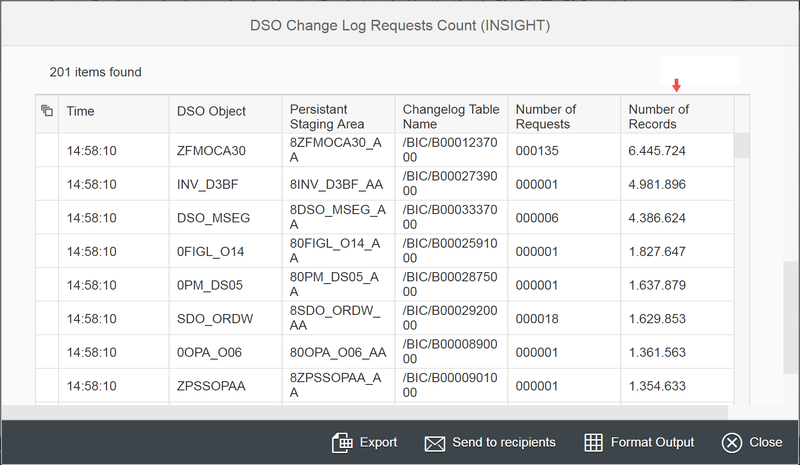 DSO changelog table keeps track of the changes in the data that come about each time a delta request is loaded into a DSO. 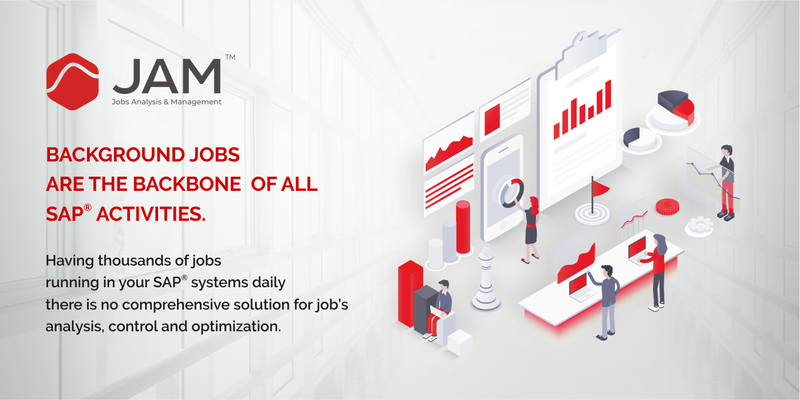 Once the data has been activated in the DSO, it is unlikely that you will need the changelog data again, so you should trim your DSO changelog tables or they will become very large. It’s normal to trim data older than 10-30 days from each DSO changelog as part of your regular housekeeping tasks. With the help of 4C™ SAP® BW alert pack you can easily identify and alert on large DSO changelogs . 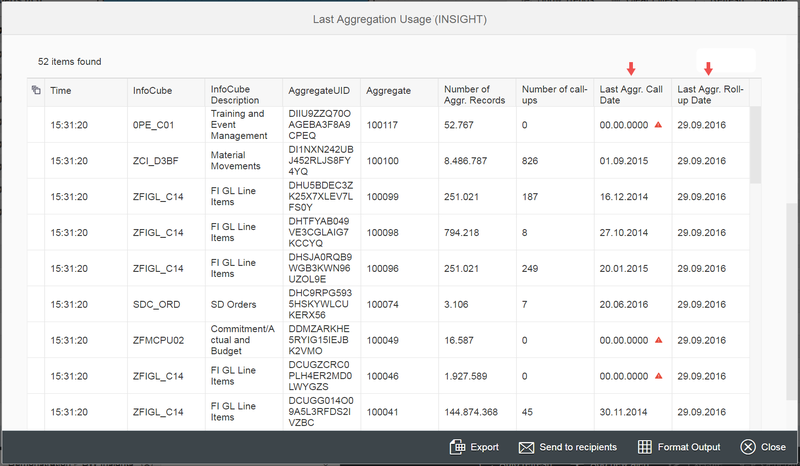 In a picture below there is an alert output, showing the list of the changelog tables. The very large ones (millions of records) are potential candidates for data deletion. Working with dozens of BW clients, we identify such cases, allowing to save up to 60% of BW database space.